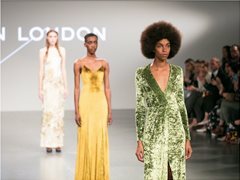 Runway taking place in London Fashion Week, September 2019. Looking for models to take part in our workshop, casting & runway. This is part of our mental health campaign, so looking specifically for people who have suffered with mental health or are mental health sufferers. Can be inspiring models or experienced, aslong as they are willing to take part. Can be inspiring models or experienced models, aslong as ambitious, reliable and hardworking.